Keep an eye on this sign, as our message will change over the next 6 months as we communicate about our union and the lack of raises at the highly profitable Times Union. What are your suggestions for future signs? 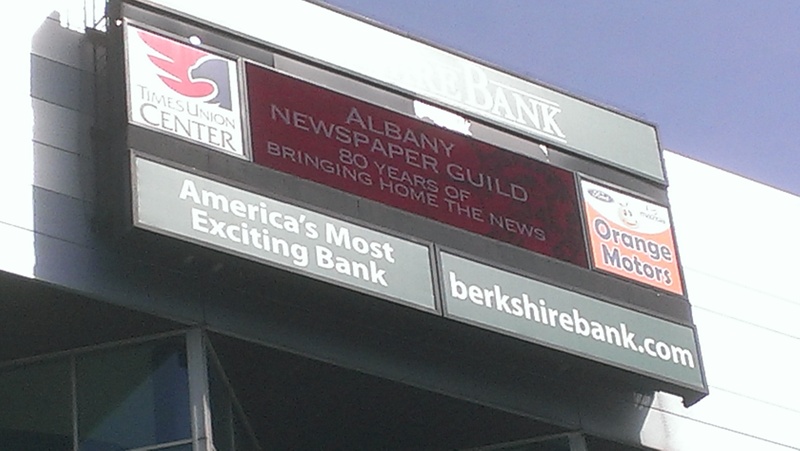 Let us know here, at office@albanyguild.org or on Facebook at Albany Newspaper Guild.